What is the Dharma Centre For? The Dharma center is an emergency rescue operation, like when police go in with sirens blaring, helicopters whirling – to rescue people in distress! Like that, the meditation center plays a very important role in the emergency rescue of people, human beings, using the seat belt and life jacket of the lam-rim. …the centre is in this world to educate people … giving education in how to practice kindness toward others in everyday life. Langri Tangpa Centre is affiliated with the Foundation for the Preservation of the Mahayana Tradition (FPMT), an international not-for-profit organisation devoted to the transmission of the Mahayana Buddhist tradition and values worldwide through teaching, meditation and community service. 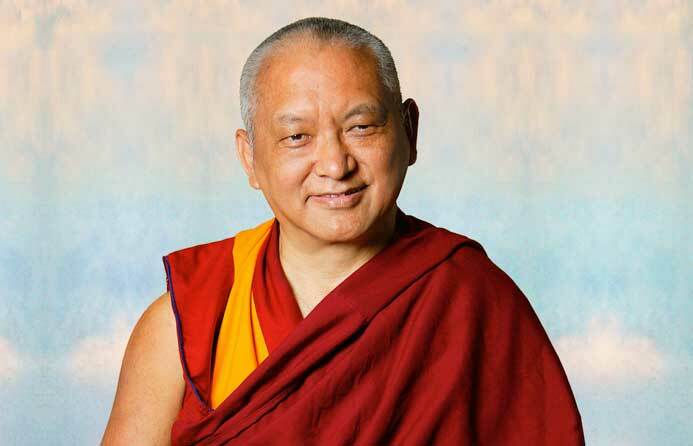 We take our spiritual guidance and protection from His Holiness the 14th Dalai Lama, from Lama Zopa Rinpoche the Spiritual Director of the FPMT, and from the teachings of Lama Thubten Yeshe. Mandala of the Foundation for the Preservation of the Mahayana Tradition (FPMT). Following the inspirational example of His Holiness the Dalai Lama, Langri Tangpa Buddhist Centre is dedicated to serving others with kindness and wisdom, and to educating people in ways to reduce suffering and promote the development of a more kind, compassionate and peaceful human family. (1) Aiming to realise the vision and achieve the goals of our precious teachers Lama Thubten Yeshe (1935-84) and Lama Zopa Rinpoche (of the FPMT). (2) Personifying the teachings of our namesake the 11th century Buddhist master Geshe Langri Tangpa, by putting into practice his Eight Verses for Training the Mind. 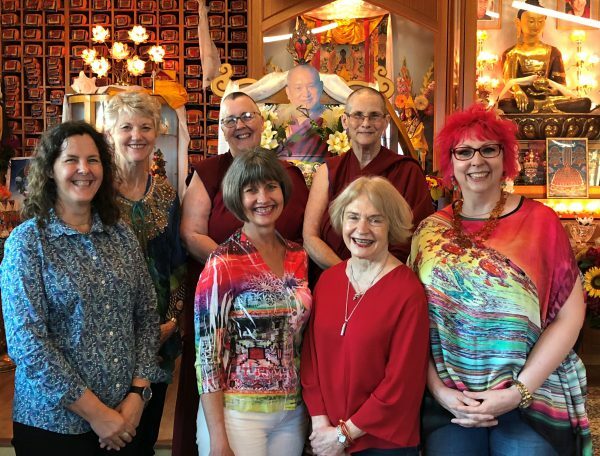 (3) Providing our members and the wider community with a safe, friendly, inclusive and supportive environment for the study and practice of Tibetan Buddhism (in particular the teachings of Je Tsong Khapa) and a forum for spiritual discussion. (4) Providing our members and visitors with the appropriate education and tools to overcome their suffering and become more caring, peaceful and happy members of society. (5) Abiding by and requiring all members and visitors to abide by the five Buddhist precepts while on LTC property; that is, to refrain from killing, stealing, lying, sexual misconduct and intoxicants. Langri Tangpa Centre 38 litres of chai and 145 slices of cheesecake offered freely to all our guests on open day! Who was Geshe Langri Tangpa? It is said that Geshe Langri Tangpa only ever smiled once. He saw a mouse trying to move a turquoise that was on his mandala. But the mouse could not lift the jewel on its own, so it called, “Tsik! Tsik!,” and another couple of mice came along too. They maneuvered the turquoise onto the belly of one, whilst one mouse pushed and the other pulled him along by his tail. Seeing this, Geshe Langri Tangpa smiled! Determined to obtain the greatest possible benefit from all sentient beings, who are more precious than a wish-fulfilling jewel, I shall hold them most dear at all times. When in the company of others, I shall always consider myself the lowest of all, and from the depths of my heart hold others dear and supreme. Vigilant, the moment a delusion appears in my mind, endangering myself and others, I shall confront and avert it without delay. Whenever I see beings that are wicked in nature and overwhelmed by violent negative actions and suffering, I shall hold such rare ones dear, as if I had found a precious treasure. When, out of envy, others mistreat me with abuse, insults or the like, I shall accept defeat and offer the victory to others. When somebody whom I have benefited and in whom I have great hopes gives me terrible harm, I shall regard that person as my holy guru. In short, both directly and indirectly, I offer every happiness and benefit to all my mothers. I shall secretly take upon myself all their harmful actions and suffering.